Yes, see next question. No, skip to address. If yes? Attending the Gavel Club Social? Would you like to speak for 5 minutes at the "Reflections & Sharing" session on Saturday morning? Yes, count me in! No, thank you. Will you be attending the AMES Awards Presentation? 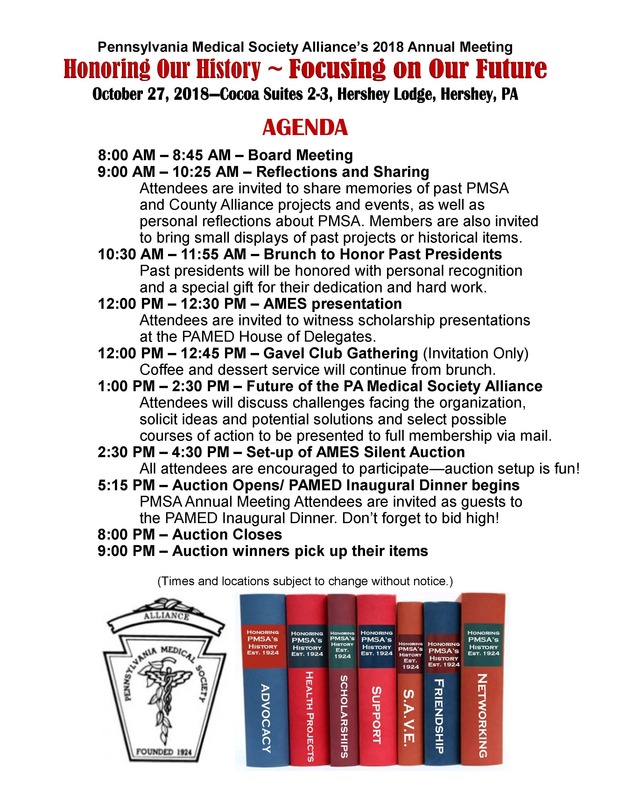 Will you be attending the PAMED Inagural Dinner & AMES Silent Auction? If you have any questions or need help with this registration please contact Tina Hartman @ 717-909-2596 or Jill Bennish @ 717-909-2679. 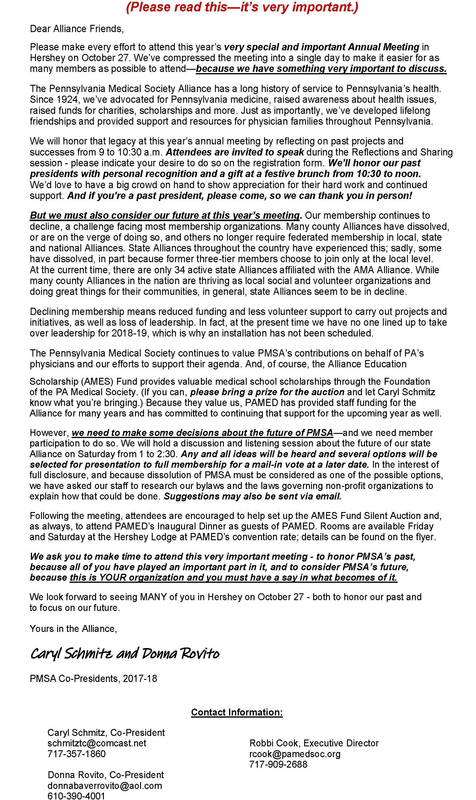 You may also contact us by email at info@pamedalliance.org.